MyoRIP PINK is our latest fat burner which we developed especially to help girls reduce stubborn body fat quickly and safely. The unique formula was developed to offer an effective and powerful weight loss solution without the side effects associated with a lot of the alternative products currently on the market. Who should use MyoRIP PINK? What results should I expect from MyoRIP PINK? Why should I buy MyoRIP PINK? We understand that there are a lot of fat burners to choose from, so many it can be confusing at times. However, when you start to look for a fat burner which is designed especially for women there are far fewer choices available. 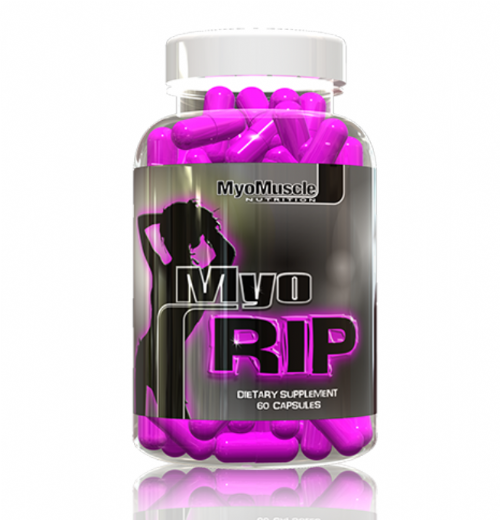 MyoRIP PINK combines some of the most popular and favoured weight loss ingredients currently used by women and offers them all in one easy to use product! The huge popularity of MyoRIP PINK speaks for its self. More and more girls are putting MyoRIP PINK in their hand bags and gym bags. Try it today and find out why! "A lot of fat burners make me feel funny but these are really good! They just make me feel happy and give me more energy and really stop the hunger. My clothes are starting to feel slack on me"
"Love these! I've noticed a big difference onto my second bottle now and lost over a stone so far. People are commenting on how much weight I've lost :D"
"My diet hasn't been very strict and I'm still losing weight every week at my weigh in. I eat clean 5 days a week and eat what i want on a weekend. Love the energy I get from them too, not too strong but enough to know it works. My friends are also getting good results. I'd highly recommend these!"